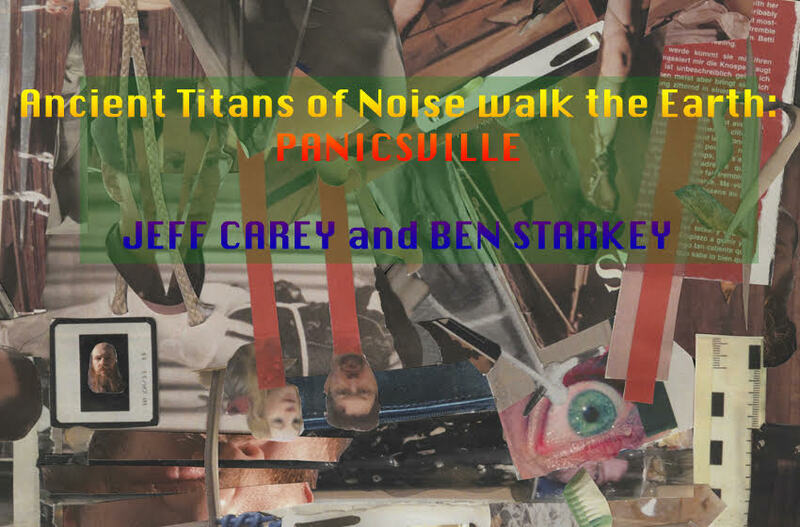 Focusing on Psychedelic Experimental Musique Concrète (often with a narrative), Panicsville pushes boundaries and also can push buttons. Live performances now incorporate multi-media, conceptual/technological operations. Panicsville began in St.Louis in 1992, moved to Texas, now resides in Chicago, IL. With a rotating lineup over the years, Andy Ortmann currently fronts Panicsville with various personnel. Touring in support of their new split LP with German Fluxus duo Kommissar Hjuler und Frau, released October 2018 on Nihilist Recordings in an edition of 127 copies. Jeff Carey and Ben Starkey: in High Zero tradition, two locals who have never played together before. They both share an interest in all the colors in the rainbow of noise. Both players work with computers and self written programs and/or patches for generating and controlling it. Please join us for an evening with (I would expect, anyway) very little “do re mi”.